More than a decade after its 2005 public conception, SpaceX is closer than ever to the first launch Falcon Heavy, the company’s newest rocket. Earlier this afternoon, the vehicle was aiming for its first static fire test, in which all 27 of its engines would be ignited (nearly) simultaneously in order to test procedures and the rocket itself. This attempt was sadly scrubbed, but only after the vehicle apparently completed a successful wet dress rehearsal, which saw Falcon Heavy fully loaded with propellant. According to Orlando’s News 13, the attempt was scrubbed only after one of eight hold-down clamps showed signs of bugs. 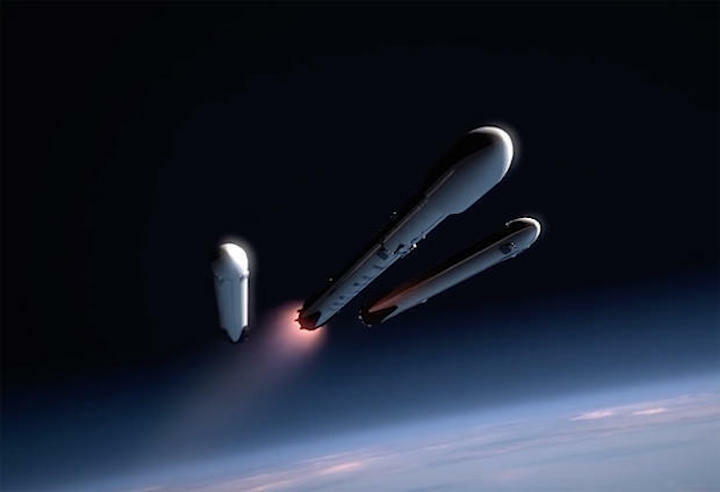 While Falcon Heavy is not explicitly critical for SpaceX’s near-term launch business and its loftier future goals, the development and operation of such a massive launch vehicle will likely serve as a strong foundation as the company transitions more aggressively into the design, engineering, and manufacture of its still-larger BFR series of rocket boosters and upper stages. 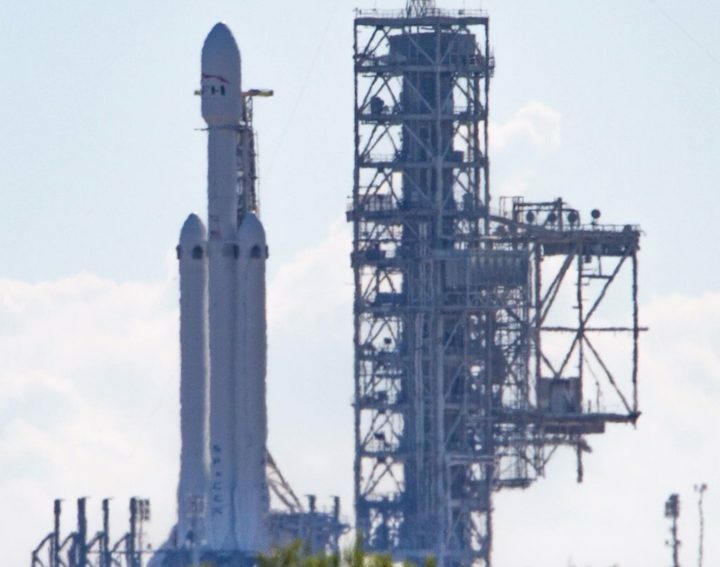 Falcon Heavy stands approximately as tall as Falcon 9 at around 70 m (230 ft), but features three times the thrust and a little less than three times the weight of SpaceX’s workhorse rocket. With 27 Merlin 1D engines to Falcon 9’s namesake nine, Falcon Heavy’s 22,800 kN (5,000,000 lbf) of thrust is a nearly inconceivably amount of power, equivalent to twenty Airbus A380 passenger jets at full throttle. WHY IS FALCON HEAVY IMPORTANT? If SpaceX manages to pull off Falcon Heavy as a successful and reliable launch vehicle on the order of its reasonably successful Falcon 9, BFR may well be an easier vehicle to develop and operate, thanks to its single-core design. As Musk himself has discussed over the last year or so, the problem of safely and reliably distributing the thrust of Heavy’s side cores to the center core was unexpectedly difficult, as were the issues of igniting all 27 Merlin 1Ds and safely separating the side cores while in flight. 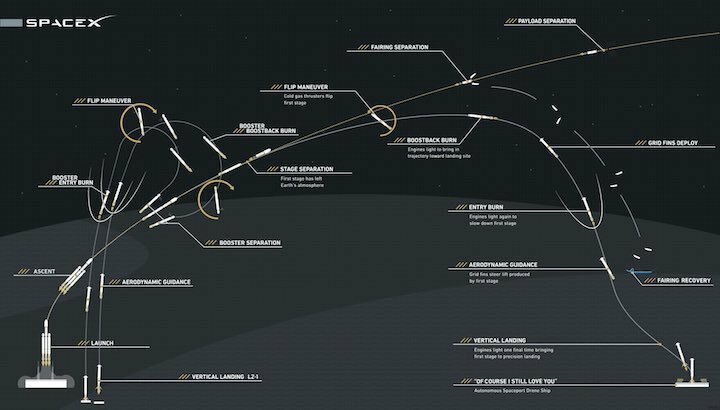 Ultimately, the payload improvement (while in a fully reusable mode of operation) was quite small, particularly for the geostationary missions that make up essentially all prospective Falcon Heavy customer missions. The additional complexity of recovery and refurbishing three separate Falcon 9 boosters almost simultaneously likely serves to only worsen the vehicle’s potential payoff, although the upcoming Block 5 iteration of Falcon 9 may partially improve the vehicle’s ease of operation. If Block 5 is indeed as reusable as SpaceX intends to make it, then a handful of Block 5 Falcon Heavy vehicles could presumably maintain a decent launch cadence for the vehicle without requiring costly and time-consuming shipping all over the continental US. SpaceX has pushed back an historic test of the Falcon Heavy, the world's largest rocket. At Pad 39A, where Saturn V rockets and space shuttles launched, the first SpaceX Falcon 9 Heavy rocket is standing tall on the pad, where the commercial company's team was scheduled to perform a "static fire" test Thursday. Just before 1 p.m., though, the company postponed the test fire. It could try again Friday. SpaceX hasn't said why the static fire test was pushed back. 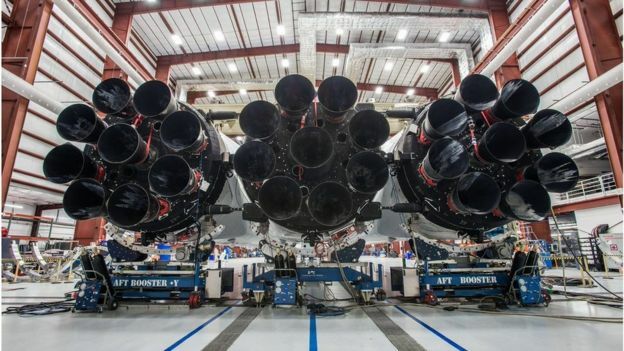 The rocket is the largest in the world right now, made up of three boosters and 27 engines. Today's short firing test of those engines is part of the process ahead of the rocket's first demonstration flight, which is set at this point for late January. SpaceX will fly the rocket on manned and unmanned Mars missions in the coming years. The company has not said when exactly the rocket's engines will fire. Stay with Spectrum News for more coverage of this developing story. 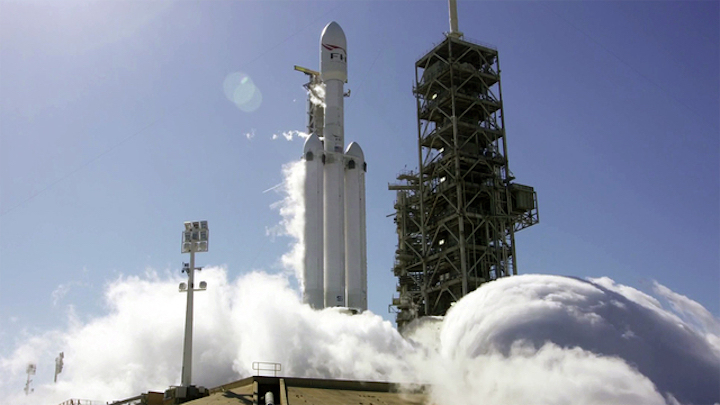 With 27 engines generating 5.1 million pounds of thrust at liftoff, the Falcon Heavy rocket is one of SpaceX’s most ambitious projects yet. And now, with questions swirling about the reported loss of the classified Zuma satellite that lifted off Sunday on a SpaceX Falcon 9 rocket, the highly anticipated Falcon Heavy demonstration launch later this month may have taken on even more importance for the company’s military and intelligence prospects. The new rocket gives the Hawthorne space company heavy-lift capability, meaning SpaceX could hoist massive satellites for commercial customers or lucrative national security missions. As SpaceX looks to increase its share of defense business, those customers are very much interested in reliability, said Carissa Christensen, chief executive of consulting firm Bryce Space and Technology. For good reason: Zuma, for instance, reportedly cost more than $1 billion. 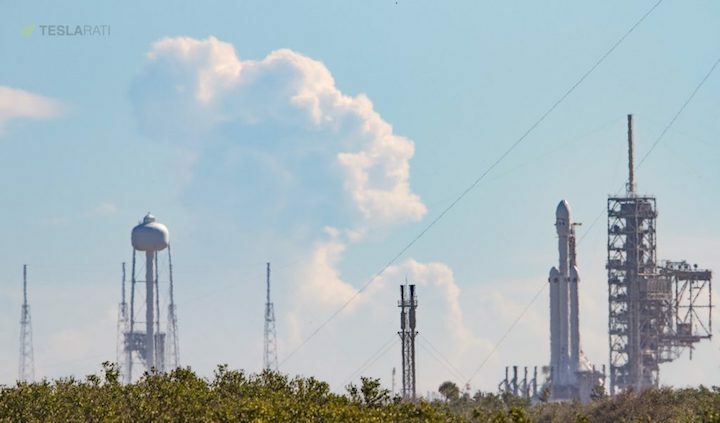 SpaceX has continued on with preparations for the Falcon Heavy, which was scheduled for a brief “static fire” test this week, and an upcoming Falcon 9 launch for satellite operator SES and the Luxembourg government. Analysts say that further indicates the company did not see a problem with its rockets. An SES spokesman said the company was in constant contact with SpaceX and is “totally confident” for its launch date at the end of the month. Little is known about the Zuma satellite — not even the name of the U.S. government agency that owns it. The payload was intended to be launched into low-Earth orbit. SpaceX was certified by the U.S. Air Force in 2015 to carry national security satellites, a move that broke up a longtime and lucrative monopoly held by a joint venture of Boeing Co. and Lockheed Martin Corp.called United Launch Alliance. Last year, SpaceX launched two national security missions with its workhorse Falcon 9 rocket. 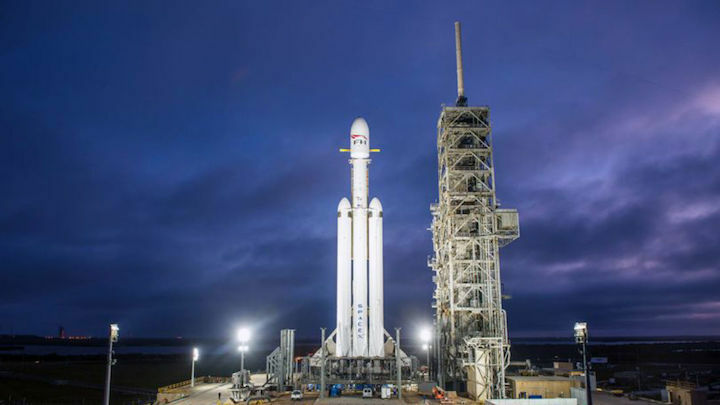 The company has said it plans to seek certification from the Air Force for the Falcon Heavy for future national security launches. SpaceX found that developing such a huge rocket was more of a challenge than initially expected. Falcon Heavy was first announced to the public in 2011, with company Chief Executive Elon Musk promising a demonstration flight by the end of 2012. Falcon Heavy is just one of several heavy-lift rockets currently under development by commercial companies and NASA. Jeff Bezos’ Blue Origin has unveiled plans for a rocket called New Glenn, which will eventually be available in two-stage and three-stage versions. ULA has proposed a new rocket called the Vulcan that would replace its current intermediate and heavy-lift vehicles. Orbital ATK is looking to develop its first intermediate and heavy-lift vehicles known for now as the Next Generation Launcher. And NASA is continuing work on its Space Launch System. SpaceX has plans for an even larger reusable rocket and spaceship system called BFR, which would eventually replace the company’s current lineup. Musk has said BFR could be used for missions ranging from taking satellites to low-Earth orbit to colonizing Mars. “If we’re talking about expanding exploration, it will be good to have more capabilities,” said Olga Bannova, research associate professor and director of the space architecture graduate program at the University of Houston’s college of engineering. Falcon Heavy launches start at $90 million, compared to the starting price of $62 million for the smaller Falcon 9, according to SpaceX’s website. ULA has advertised the starting cost of its Atlas V rocket at $109 million. The venture’s larger Delta IV rocket — the most powerful rocket currently used by the Air Force to carry military satellites — is being phased out because it is costly to produce. However, Musk has also tried to downplay expectations for this demonstration launch, saying there was a “good chance” the rocket would not make it to orbit on its first go. In the past, the first few launches of a new rocket were expected to have a fairly high failure rate. But modern computer modeling and analytics have changed that expectation. A strong showing on Falcon Heavy’s first outing will enhance the perception of SpaceX’s capabilities and will also contribute to the view of its market value, Christensen said. But a failure would not be “devastating,” she said, noting that the company is given credit for its ambitious goals. 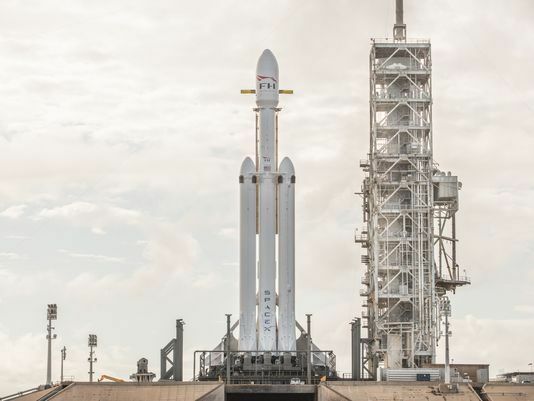 The Falcon Heavy also benefits from the development of its predecessor, the Falcon 9, said Phil Larson, assistant dean at the University of Colorado, Boulder’s College of Engineering. When the Falcon Heavy lifts off later this year it will be the most powerful rocket in the world by a factor of two. The long-awaited test fire of what may be the world's most powerful rocket - SpaceX's Falcon Heavy - will take place on Tuesday. Elon Musk, the billionaire behind the private aerospace company, said he wants the rocket to take his own midnight cherry Tesla Roadster into orbit around Mars while playing David Bowie's Space Oddity. Just like SpaceX's regular Falcon 9 launch vehicles, the Falcon Heavy is reusable and intended to return to Earth to land after launching. Mr Musk has warned that the testing of the Falcon Heavy is likely to feature errors, and the static engine firing at Cape Canaveral in Florida at 9pm UK time will be the first opportunity for SpaceX to detect any kinks. 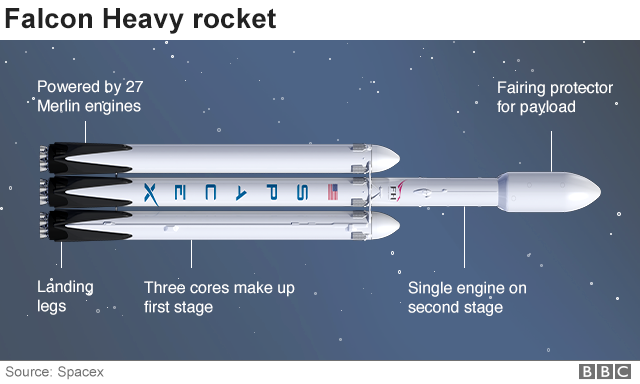 Falcon Heavy is made up of three cores, or boosters, which have a total of 27 Merlin rocket engines and can generate 22,819 kilonewtons (5.13 million pounds) of thrust at lift-off. Both of the side cores are equivalent to the main booster of a Falcon 9 rocket and, shortly after lift-off, the centre core is throttled down for the side cores to do most of the work. All of the Merlin rocket engines are going to be fired for roughly 12 seconds on Tuesday as SpaceX prepares the Falcon Heavy for its first ever real launch. Aside from Mr Musk's quip about sending a car into orbit around Mars, SpaceX has signed two contracts for satellite launches using the powerful rocket. The Falcon Heavy has been designed to carry crew and supplies to deep space destinations such as the moon and Mars. These missions are not expected any time soon, however. "Just bear in mind that there is a good chance this monster rocket blows up, so I wouldn't put anything of irreplaceable sentimental value on it," Mr Musk was quoted as saying. SpaceX teams are laying the groundwork for the eventual launch of the company's highly anticipated three-core Falcon Heavy rocket, which will likely lift off on its demonstration flight early this year. First, teams will test fire the 230-foot-tall rocket's 27 Merlin main engines, a routine operation that will produce data for analysis by engineers. If all goes well after the testing phase, the rocket's inaugural flight from Kennedy Space Center's pad 39A will be scheduled. Now on the schedule: SpaceX targeting six-hour #FalconHeavy test fire window that opens at 1200 ET (1700 UTC) on Wednesday. America's SpaceX company has conducted a key test ahead of the maiden flight of its new rocket - the Falcon Heavy. In what is known as a static firing, all 27 engines on the launcher's first stage were ignited together to check they are flight-ready. The procedure, conducted in Florida, lasted only seconds and the rocket was clamped to keep it on the ground. The Falcon Heavy will be the most powerful launcher in the world when it eventually lifts off. Depending on the analysis of Wednesday's test, that could occur within the next fortnight. Company CEO and chief designer, Elon Musk, tweeted: "Falcon Heavy hold-down firing this morning was good. Generated quite a thunderhead of steam. Launching in a week or so." The Falcon Heavy is essentially three of SpaceX's workhorse Falcon 9 vehicles strapped together. But the triple-booster configuration has demanded a number of specific alterations, including a strengthening of the central core booster. The 27 Merlin engines at the base of the rocket should be capable of generating almost 23,000 kilonewtons of thrust - slightly more than double that of the world's current most powerful rocket, the Delta IV Heavy, which is operated by US competitor United Launch Alliance. 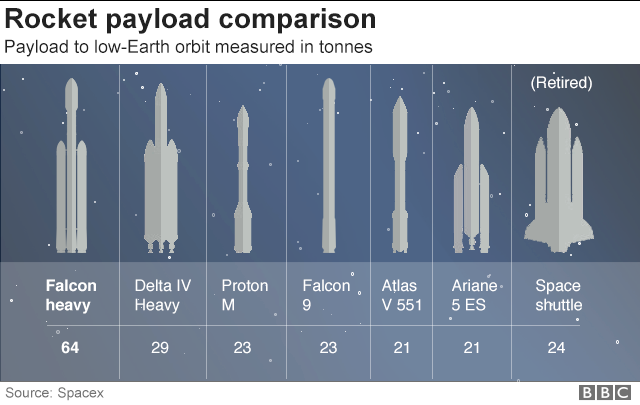 The 70m-tall Falcon Heavy is designed to put up to a maximum of 64 tonnes in low-Earth orbit, although in reality it will be rare that the vehicle lofts that much mass. SpaceX intends to land the rocket's boosters back on Earth after launch - as is the company's usual practice today with the Falcon 9 - and that necessarily negates some performance. But the new capability would mean the firm in future has no difficult launching the biggest military and commercial telecommunications satellites - and still recover all three first-stage boosters. 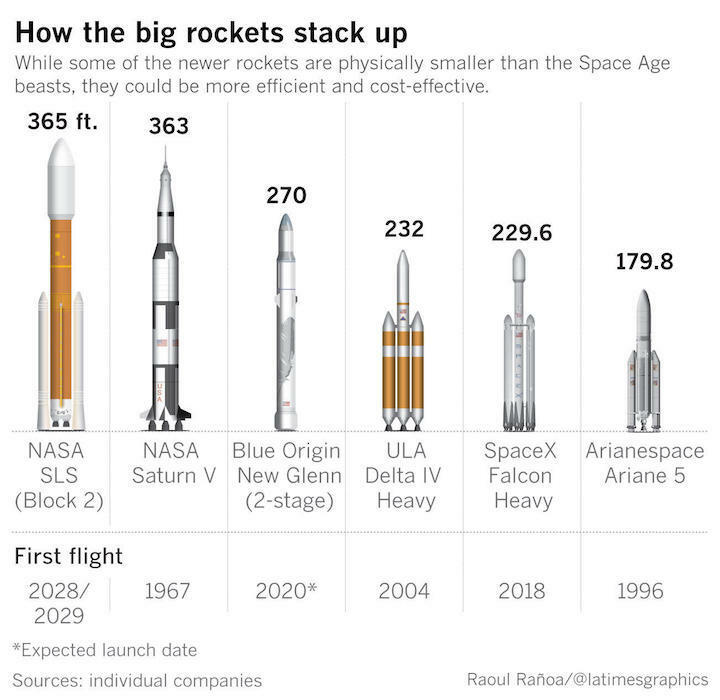 The introduction of the rocket should also open up some fascinating possibilities to send much bigger payloads beyond Earth orbit than is currently possible. This could include sending astronaut capsules to the Moon, or bigger robots to Mars. Because the maiden flight of any rocket carries a higher degree of risk, the Falcon Heavy will not take up a meaningful payload when it finally launches. Instead, Mr Musk has decided to put his old sportscar on the top of the Falcon Heavy. His idea is to send this red roadster towards the orbit Mars takes around the Sun. 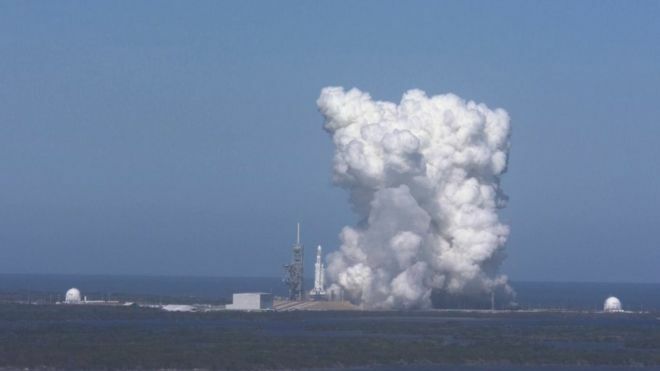 CAPE CANAVERAL, Fla. (FOX 35 WOFL) - The Kennedy Space Center Visitor Complex tweeted that launch viewing ticket packages are now available to see the SpaceX's Falcon Heavy rocket launch for first time ever. They say that the launch date has not been announced yet, but these tickets will be valid for the launch date of the first flight of the Falcon Heavy rocket. WASHINGTON — SpaceX Chief Executive Elon Musk said Jan. 27 that the company will attempt a first launch of its Falcon Heavy rocket on Feb. 6. The announcement came three days after the rocket completed a static-fire test at Launch Complex 39A at the Kennedy Space Center, a final test milestone before the launch itself. Musk said the test was “good” shortly after the test, but neither he nor the company provided additional details. Musk did not disclose a time for the launch, but other documents suggest the company has reserved a three-hour launch window opening at 1:30 p.m. Eastern. A backup launch opportunity exists for the following day. In his comments after the static-fire test, Musk said the launch would take place “in a week or so.” A Feb. 6 launch, though, would give SpaceX time to prepare after its next Falcon 9 mission, of the GovSat-1 communications satellite, scheduled for Jan. 30 from nearby Space Launch Complex 40. As a test launch without an operational payload, SpaceX has flexibility to use a longer launch window. The test flight is carrying a Tesla Roadster sports car, which Musk said in December would be sent into a heliocentric orbit that would take it past Mars. While a launch date has been set, the company still faces a regulatory obstacle ahead of the launch. 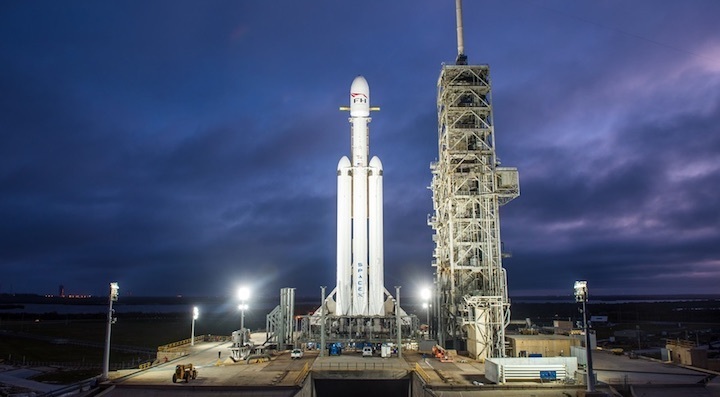 The Federal Aviation Administration’s Office of Commercial Space Transportation has not yet issued a launch license for the Falcon Heavy, a requirement for a commercial launch such as this. Such licenses are often issued days ahead of a launch. Anticipation has been high for this launch, the largest U.S. rocket since the Saturn 5. The Kennedy Space Center Visitor Complex, for example, announced Jan. 25 a number of viewing packages for people to see the launch from various locations at the space center. WASHINGTON — The Federal Aviation Administration has issued a launch license for the inaugural launch of SpaceX’s Falcon Heavy, scheduled for Feb. 6. 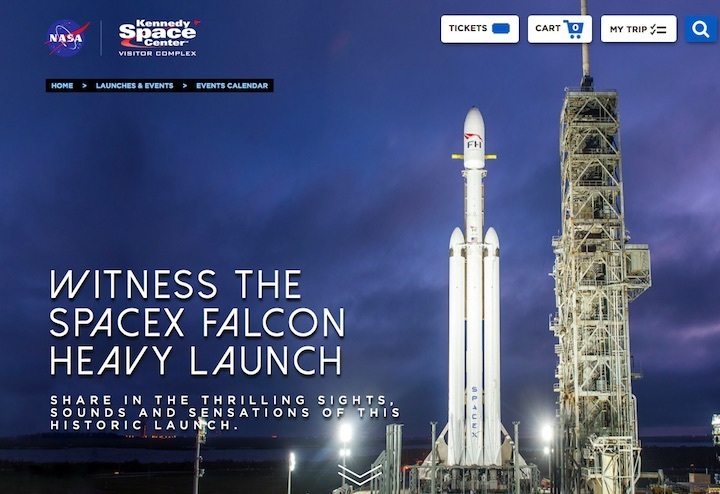 The license by the FAA’s Office of Commercial Space Transportation, or AST, is dated Feb. 2 and covers only the first launch of the Falcon Heavy, the largest U.S. launch vehicle since the Saturn 5. A license is required for any commercial launch from the United States or by a U.S. company regardless of location. 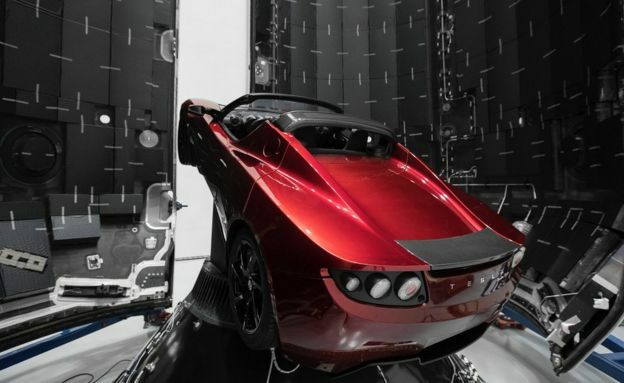 The license describes the rocket’s payload as a “modified Tesla Roadster (mass simulator)” that will be launched into a hyperbolic orbit with respect to the Earth. SpaceX Chief Executive Elon Musk said in December that the Roadster, an electric sports car, would be the payload, launched into a heliocentric orbit that will take it past Mars. The license does not describe the modifications to the car. The license was the final regulatory hurdle to the upcoming launch. While there were no significant doubts that the company would obtain a license, the unusual nature of this launch, featuring the first launch of a vehicle and its nontraditional payload, likely attracted additional scrutiny. The Falcon Heavy’s power is reflected in the insurance requirements contained in the license. SpaceX is required to hold third-party liability insurance, or other means of financial responsibility, for $110 million in claims for the launch. By comparison, a license issued last year for Falcon 9 launches of geostationary orbit communications satellites, also flying from Launch Complex 39A and on the same azimuth, requires only $30 to 68 million in insurance. The new license, though, makes few changes to government property insurance. 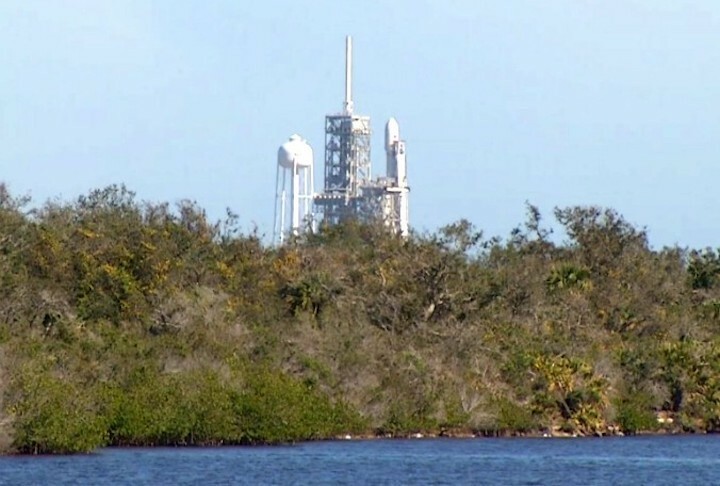 Both it and the Falcon 9 license require $100 million in coverage for launches from the same pad, although the Falcon Heavy license increases the coverage for pre-flight operations from $63 million to $72 million. Even before the launch license, other parts of the FAA were preparing for the launch. The agency issued temporary airspace restrictions Feb. 2 for the launch, covering airspace around the launch site and into the Atlantic Ocean, a standard procedure for any launch from the range. The U.S. Air Force’s 45th Weather Squadron, at Patrick Air Force Base in Florida, issued its first weather forecast for the launch Feb. 2 as well. That forecast predicted an 80 percent chance of acceptable weather for the launch, scheduled for a three-hour window beginning at 1:30 p.m. Eastern. The probability decreases to 70 percent if the launch slips one day to Feb. 7. A new SpaceX rocket blasting off on its long-awaited maiden flight this Tuesday -- the Falcon Heavy -- promises to put on a spectacular show as the world's most powerful booster climbs away from the Kennedy Space Center's historic pad 39A atop nearly 5 million pounds of thrust from 27 engines, nine in each of three core stages. The Heavy will be the most powerful rocket launched anywhere in the world since NASA's now-retired space shuttle, the Soviet Union's unsuccessful N1 moon rocket, its short-lived Energia booster and the gargantuan Saturn 5 that launched NASA's Apollo moon missions with a staggering 7.5 million pounds of liftoff thrust. NASA is currently building an even more powerful rocket known as the Space Launch System, or SLS, that will generate 8.8 million pounds of thrust in its initial configuration and up to 11.9 million pounds in a follow-on cargo variant. But the SLS is not expected to fly until late 2019 or later, and the Falcon Heavy, assuming it succeeds, will easily hold the title of world's most powerful operational booster in the near term. "I think this could be an extremely significant launch, first of all because it's happening in 2018, not whenever SLS is going to launch. It is going to be, if it succeeds, the most powerful rocket in the world, and that enables lots of different things," said John Logsdon, a noted space historian and space policy analyst. "It poses a competitive challenge to the NASA way of doing business. Just as SpaceX has posed a challenge to (competitor) United Launch Alliance that seems to be succeeding, it could well pose a challenge to NASA's launch strategy," Logsdon said. 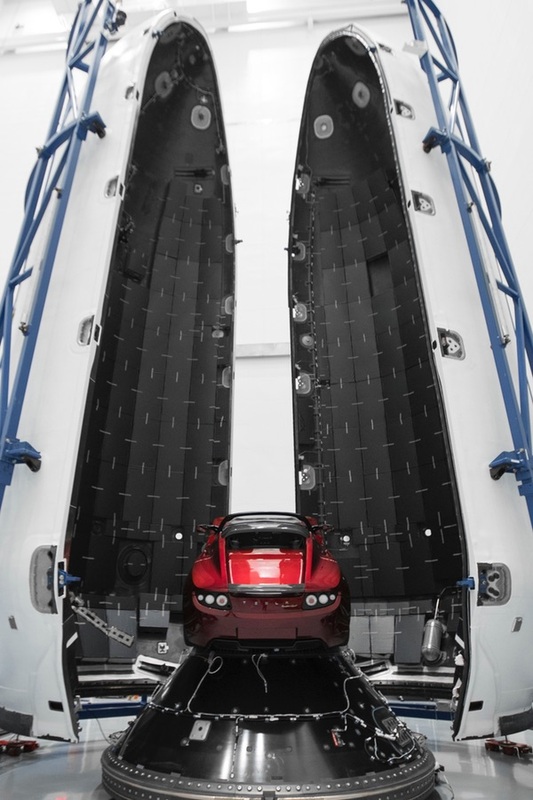 Adding to the drama of the Heavy's first flight is its payload: A 2,760-pound Tesla Roadster provided by SpaceX and Tesla founder Elon Musk, which will be released onto a trajectory carrying it beyond low-Earth orbit and into deep space. David Bowie's "Space Oddity" apparently will be playing on the stereo -- or at least in SpaceX mission control in Hawthorne, California. "Payload will be my midnight cherry Tesla Roadster playing 'Space Oddity,'" Musk tweeted late last year. "Destination is Mars orbit. Will be in deep space for a billion years or so if it doesn't blow up on ascent." Rockets typically carry dummy payloads, or mass simulators, when making their first flights. While blasting a $250,000 Tesla into space might seem extravagant, building a simulator almost certainly would have cost as much or more. And besides, launching a sports car into space is much more in keeping with Musk's playful streak. With forecasters predicting an 80 percent chance of good weather, liftoff is targeted for 1:30 p.m. EST (GMT-5) Tuesday. The test flight has generated widespread interest in the space community and beyond, but Musk has gone out of his way to downplay expectations. "This is one of those things that's really difficult to test on the ground," Musk said last year. "There's a lot of risk associated with the Falcon Heavy, a real good chance that that vehicle does not make it to orbit. Want to make sure I set expectations accordingly. I hope it makes it far enough away from the pad that it does not cause pad damage, I would consider even that a win, to be honest. And uh, yeah. Major pucker factor, it really is." SpaceX has shaken up the commercial rocket industry, launching 48 Falcon 9 rockets since the booster's debut in 2010 -- 18 last year alone -- and perfecting techniques for recovering the booster's first stage so it can be refurbished and re-launched, part of Musk's long-range plan to lower costs through "rapid reusability." The company has suffered one in-flight failure and one on-the-pad explosion, but it has put together an impressive list of accomplishments for a startup without decades of experience. It has a $10 billion backlog of payloads awaiting launch holds, more than $4 billion in NASA contracts to deliver supplies to the International Space Station and, eventually, astronauts starting late this year or early next. Lee Solid, a retired rocket engineer who helped build the engines that powered the Saturn 5 and the space shuttle, visited SpaceX's processing hangar at the base of pad 39A last week with former shuttle commander Eileen Collins. "I was impressed with the whole vehicle and the people working it," he said in an interview Sunday. "If I had any question or negative thoughts about what Elon's doing, they went away. It was a very professional operation out there." The Heavy is made up of three side-by-side Falcon 9 core stages, each equipped with nine SpaceX Merlin engines burning RP-1 kerosene fuel and liquid oxygen. An upper stage atop the central core is equipped with a single Merlin engine generating 210,000 pounds of push. 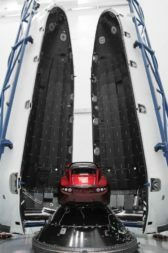 For its maiden flight, the Tesla Roadster will be mounted in a nose-cone fairing atop the second stage. At liftoff, with all 27 core stage engines firing in concert at about 92 percent of full power, the Heavy will generate 4.7 million pounds of thrust. That's more than twice the liftoff power of a United Launch Alliance Delta 4 Heavy and more than one-and-a-half times the power of a European Ariane 5. Flying for the first time, it's difficult to predict exactly how the Falcon Heavy will perform. As it consumes propellant, loses weight and accelerates, hard-to-model aerodynamic stresses will build up, producing extreme "loads" on the structure and localized heating. And then there's the issue of controlling ignition, startup and steady operation of 27 engines firing in close proximity. The vibration environment with 27 clustered engines is extremely difficult to model, one veteran engineer said, subjecting the rocket to significant stresses. The Soviet Union built the huge N1 moon rocket with 30 first stage engines, but the booster failed all four times it was launched. The Heavy's engines were test fired at the pad on Jan. 24 and SpaceX said later there were no problems. But Musk cautioned last year "there's a lot that could go wrong" when 27 engines are firing at once, adding, "I encourage people to come down to the Cape and see the first Falcon Heavy mission. It's guaranteed to be exciting." The two outside core stages will separate and fly back to landings at the Cape Canaveral Air Force Station while the central core stage will attempt a landing on an off-shore droneship. And not just for the launch. After engine shutdown, the two previously flown outside core stages will separate, flip around and fly back to the Cape Canaveral Air Force Station for side-by-side rocket-powered descents to touchdown at SpaceX's Landing Zone 1. The central core stage will attempt to land on an off-shore droneship. 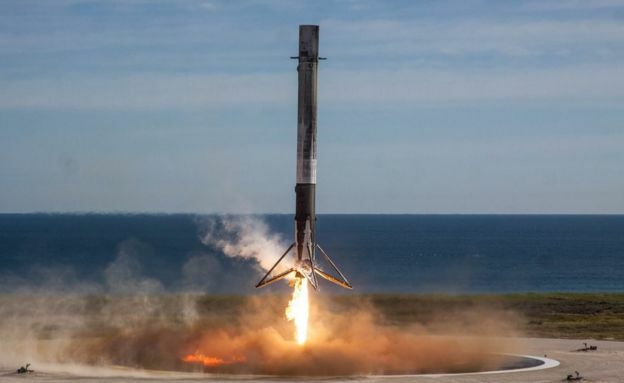 The recovery of three stages will push SpaceX's record to 24 successful landings in 27 attempts while providing area tourists and residents with a dramatic show highlighted by dueling sonic booms. On SpaceX's web site, the company claims the Heavy can send a payload weighing up to 140,660 pounds to low-Earth orbit and 37,000 pounds to Mars. It can send a probe to distant Pluto weighing up to 7,720 pounds, about seven times the mass of NASA's New Horizons Pluto flyby mission, which was launched by the most powerful version of United Launch Alliance's Atlas 5 rocket. NASA's space shuttle generated about 6.8 million pounds of thrust from three hydrogen-fueled main engines and two huge solid-fuel boosters. The agency's Saturn 5 moon rocket still holds the record as the most powerful operational rocket ever built, using five huge F1 first stage engines to generate 7.5 million pounds of thrust. The Saturn 5, which flew 13 times, had an Earth-escape payload capacity of more than 100,000 pounds, about three times the capability of the Falcon Heavy. But at an advertised price of $90 million, the Heavy is much less expensive and can still boost sizable payloads beyond low-Earth orbit. But SpaceX's long-range plans for the rocket are somewhat foggy. Musk said last year the Heavy would be used to launch two paying customers on a looping flight around the moon, but no details have been announced. As of this writing, only three missions are believed to be booked on the Heavy. Complicating the outlook, SpaceX is designing a much more powerful "BFR" rocket (a euphemism for "big [expletive] rocket") that would dwarf the Heavy in payload capability. It is the rocket Musk plans to use for eventual flights to Mars. "I don't understand what they're doing," Logsdon said. "Elon's out talking about they're not going to pursue the Falcon line of rockets, he's going to put all his efforts into the BFR. So, what is the future of Heavy?" A knowledgeable rocket engineer who asked not to be named said the Heavy is too powerful for routine use launching Earth-orbiting satellites but not powerful enough to serve as a stand-alone lunar exploration rocket. He said it's generally agreed that meaningful missions to the moon or beyond will require rockets capable of boosting 130-metric-ton payloads into Earth orbit. Some observers have speculated that the Heavy might be intended as a shot across NASA's bow, so to speak, while the agency is developing the more expensive, but more capable, Space Launch System rocket. They suspect Musk hopes to win government support to help fund the BFR at the expense of the SLS. Logsdon said he believes it is "good for the country to have two alternative heavy lift vehicles, at least for a little while, to see which one works better." But he also believes the SLS enjoys enough solid congressional support to "sustain it for some few more years, anyway."